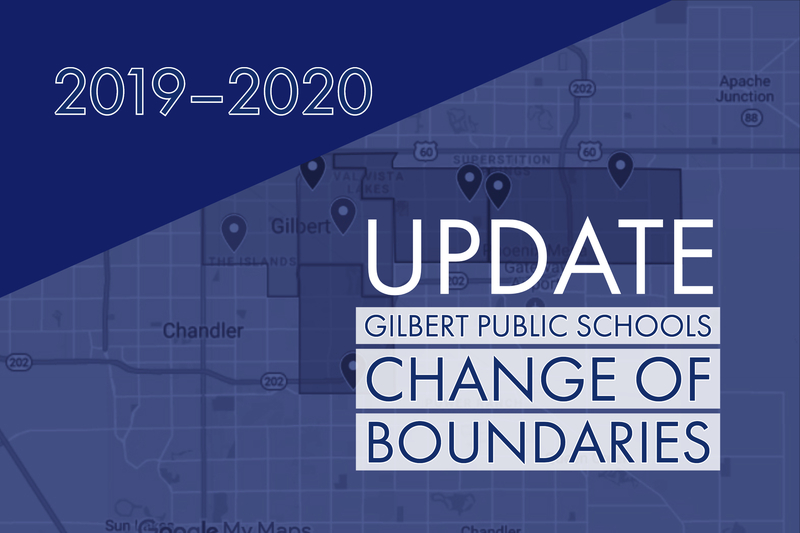 The Gilbert Public Schools Board approved boundary changes for the 2019/2020 school year on January 23, 2019. While the majority of the district is not affected, there are a few areas in 85209 and 85212 that will see a change in school boundaries. For elementary students, those who live south of Elliot and East of 96th St will now be assigned to Meridian Elementary rather than Canyon Rim Elementary. This includes the majority of the Eastmark development. The junior high change will not affect many students, as it only includes the area north of Warner and south of Peralta between Power and Sossaman. Students in that area will move from Desert Ridge Junior High to Highland Junior High. The high school change moves students west of Sossaman from Desert Ridge to Highland High School. This affects all students in Superstition Springs and the Desert Place/Morrison Ranch community. Students who are currently attending a school affected by these changes who wish to remain at the same school and students who want to attend the school they are currently boundaried for should complete the Open Enrollment Application Form and submit to the school. The district will give enrollment priority to students who are occupants of a residence as of December 31, 2018 who are affected by the boundary change.